Everyone would like to save money on utility bills, and most people want to conserve our natural resources, right? Well, in Southwest Minnesota, what initially started as an effort to raise awareness among tenants, management, and community members about the importance of the responsible use of natural resources such as energy and water turned out to make connections among generations. A partnership involving the Southwest Minnesota Housing Partnership (SWMHP), Southwest CERTs, AmeriCorps VISTA Program, and the Westbrook/ Walnut Grove YES! Team was started to validate the importance of conserving energy and water. Twenty-four apartment properties owned by the SWMHP were targeted to demonstrate strategies for efficient usage of energy and water in order to lower costs of utility bills. The YES! Team installed low-flow aerators on the faucets and tested the lavatories for leaks. A tenant education plan was developed to encourage saving water and electricity in order to reap the financial benefit of savings. The goals were to raise awareness, educate, and increase participation in efforts to preserve natural resources. To accomplish these goals, behavior modifications were made regarding water usage, and new technology was implemented. During the installs the YES! Team had the opportunity to discuss other energy saving opportunities with tenants. 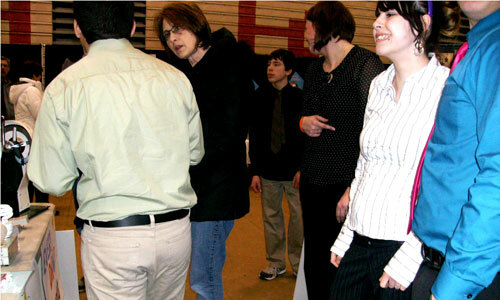 Four home shows were held to educate and demonstrate strategies for resource conservation. Events were held in Westbrook, Luverne, Windom, and Pipestone during the fall of 2012 and spring of 2013. The YES! Team students engaged the community through demonstrations and drew them into the booth with questions like “How would you like to save a lot of money?” or statements such as “I can show you how to save money and the environment if you want to talk with us for a moment”. The community was fascinated with the YES! Team students’ demonstrations and raffle giveaways. During the home shows, over 950 people were reached through conversations, demonstrations, hand-outs, and raffle items. Southwest CERT helped with seed grant funding and to bring all the partners together; providing support and supervision over the program. The AmeriCorps Vista Program Worker was responsible for developing the materials and ensuring all the logistics were planned out along with the SWMHP. YES! Team members were responsible for knowing the materials and performing outreach to community members during the events. YES! Team members staffed booths and gave presentations regarding the energy efficiency and resource conservation materials at the events. Insight for replicating outreach would be, when looking to teach strategies aimed at lowering utility bills or reducing consumption of electricity and water, look for relevant insight within what your target population is already doing. It was discovered through the process that many of our techniques were already being done by consumers. As well as why they are/are not interested in it, and what challenges they have to accomplishing reduction goals. Additionally, looking back, it would have been helpful to have a resident leader involved with the event planning team. They would likely know the community best and could help clarify issues that come up as outreach is developed and implemented. Going forward, the SWMHP will use lessons developed and learned from this project to further educate tenants at their properties. SWMHP has begun to track the utilities of the properties with direct access to the utility information (owner paid utilities) beginning January 2013. They are looking into the possibility of getting releases for the tenant paid utilities properties so the SWMHP can track the utilities of all their properties. To learn more about the project, contact Jennifer Prins at (507) 836-1622 or jenniferp@swmhp.org.